In a recent Powdered Wig article, we pointed out the revolution underway in Iran where the Iranian people are weary of being governed by a band of Islamic mullahs and have been emboldened by the election and performance of Donald Trump in the United States. They understand very well that President Trump and the American people have their back and they are jubilant. This pro-Trump populism is not a phenomenon isolated to Iran where the trending Twitter hashtags are #ThankYouTrump and #MakeIranGreatAgain. 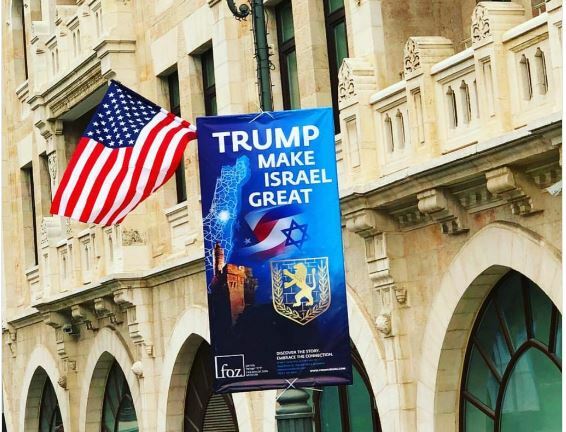 Pro-Trump banners are popping up in Israel as well. 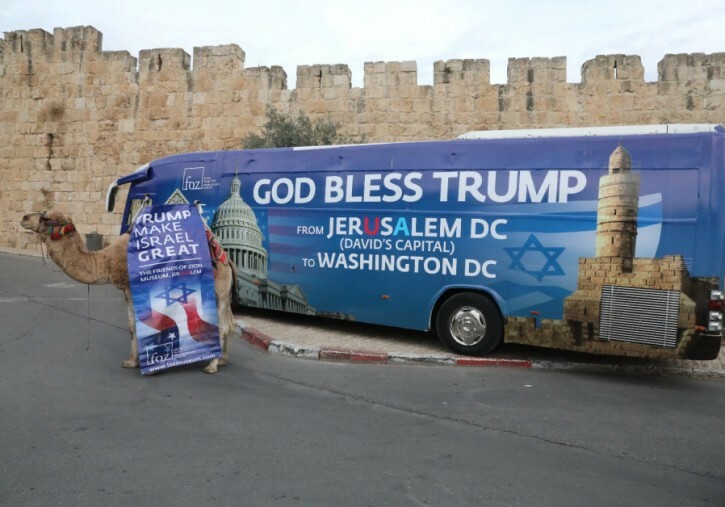 As the United States prepares to open its embassy in Jerusalem, pro-Trump banners and American flags abound across the holy city. Imagine this. 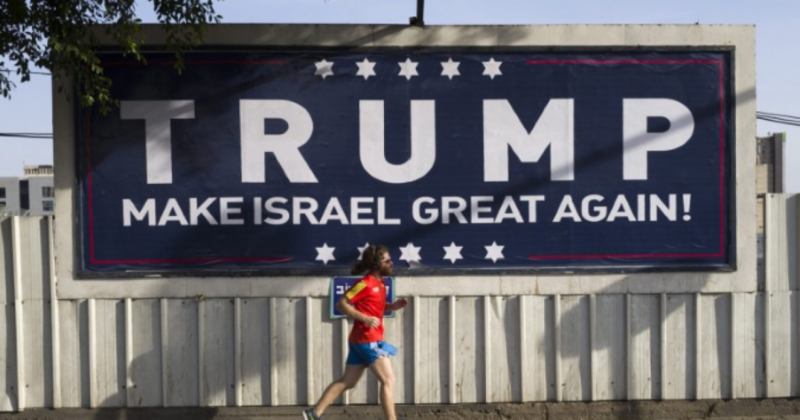 The people of two mortal enemy nations, Israel and Iran, have a mutual love for President Trump and the United States. All that stands in the way of a harmonious relationship between the two nations and across the Middle East is a handful of Islamic zealots who rule Iran with an iron fist. I believe there will shortly be an uprising in Iran and it is likely to be bloody. But, in the end, the people will prevail with the support of US and Israeli intelligence and armed forces. Without the mad dog mullahs funding terrorists across the region, a “relative” peace will return to the Middle East.